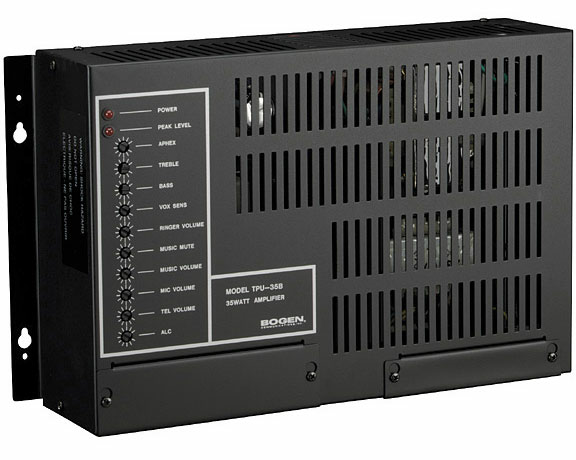 The Bogen TPU60B is a wall-mounted telephone paging amplifier rated at 60 watts. It can also be rack mounted using an optional accessory kit. It provides paging from a telephone and/or microphone, music input through an RCA jack or screw terminals, and voice-activated, variable level, music mute with fade back after page. It also includes a night ringer which sends an electronic ringing tone signal through all speakers, alerting personnel of incoming calls.